Settings in this block define the global rules on working hours, breaks and days off at the company level. These settings will serve as a template for all employees added at a later time. Note that each employee can have a personal schedule that may override the Company schedule. 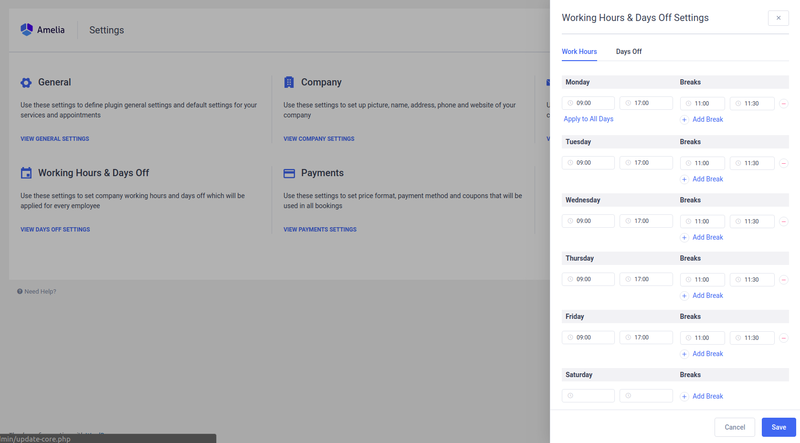 This option allows you to set company-wide working hours and breaks. If you want to set the same hours for every day, simply set the first day and click on the “Apply to All Days” button. After you set the working hours and breaks and click “Save” you will get a message asking you to choose whether you want to only change set it for here or for all employees. If you click “Apply to all”, all your employees will get this schedule. If you click “No”, this setting will be applied for any newly created employees but not for existing ones. 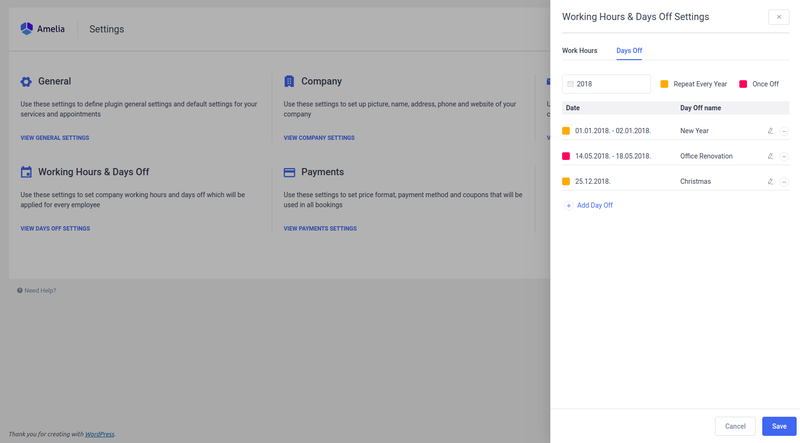 The Days Off setting allows you to set one or multiple days off that apply to the whole company. Click on the “Add Day Off” button, enter the “Day Off name”, select one or a range of days, and check if you want these days to be repeated yearly. Since repeating days off and one time days off are colored differently you can differentiate between them easily.